Estimates based on regressions of anthropoid primate subfamilies or limited to extant apes indicate a major increase in longevity between Homo habilis (52-56 years) to Homo erectus (60-63 years) occurring roughly 1.7 to 2 million years ago. The predicted life span for small-bodied Homo sapiens is 66 to 72 years (14). From a catarrhine (Old World monkeys and apes) comparison group, a life span of 91 years is predicted when contemporary human data are excluded from the predictive equation. For early hominids (family of bipedal primate animals comprising recent man, his ancestors, and related forms) to live as long or longer than predicted was probably extremely rare; the important point is that the basic Old World primate design resulted in an organism with the potential to survive long beyond a contemporary mother's ability to give birth. This suggests that postmenopausal survival (Chapter 10) is not an artifact of modern life style but may have originated between 1 and 2 million years ago, coincident with the radiation of hominids out of Africa. The general regression equation expresses the relationship of longevity to body and brain mass when 20 Old World anthropoid primate genera are the comparative group. The predicted longevity for a 50-kg primate with a brain mass of 1250 g (conservative values for humans) when case deletion regression methods are employed (each prediction is generated from the equation excluding the species in question) is 91 years and 72 years when humans are included within the predictive equation (Table 2). Using the predictive equation presented in Table 2, a typical old world primate with the body size and brain size of H.sapiens can be expected to live between 72 and 91 years with good nutrition and protection from predation. 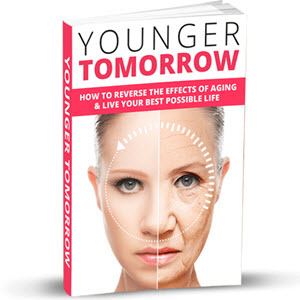 Discover The Secrets To Staying Young Forever. Discover How To Hinder The Aging Process On Your Body And In Your Life. Do you feel left out when it comes to trying to look young and keeping up with other people your age? Do you feel as though your body has been run down like an old vehicle on its last legs? Those feelings that you have not only affect you physically, but they can also affect you mentally. Thats not good.